There’s not much to say… Get ready for the most anticipated post of the year. Here’s my list of the best basketball shoes of 2018. Tons of nominees – even more performance. 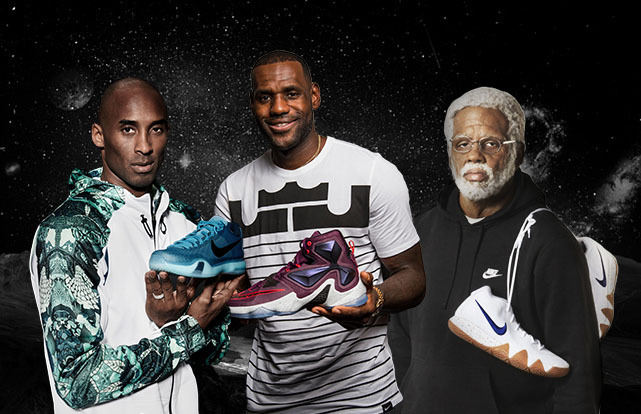 Looking for your next pair of ball shoes? You came to the right place! The adidas Harden Vol.3 might not look appealing to you. BOOST might be too outdated or boring at this point. But, damn, the performance is up there among this year’s best. So if you happened to not give a flying F about the looks, maybe you actually like them, and BOOST is still life for you – the Harden Vol.3 is a perfect fit. Traction being the nr.1 highlight of the shoe & everything else just simply working flawlessly around it like a fine time peace – it’s safe to say that UA got it right this time, at least in my books. I very appreciate the fact that UA puts the same amount of attention & craft creating their team models. I think as of right now, UA has the best bang for your buck team line with premium tech and killer performance that puts a smile on your face whenever you lace them up. And the UA HOVR Havoc is the latest proof of that for sure. While the traction isn’t that aggressive when it used to be on the very first models, it still remains solid, the rest of the shoe has aged like a good wine. Forget about that carboard-like mesh – it’s now soft & form-fitting. Rock solid midsole? Oh, damn… Forget those either. The fresh new Turbo Zoom Air will give you that nice pep in your step, while still keeping the business low to the ground. Whereas the heel with a nice chunk of phylon will not let you down either. One more thing… That buttery smooth transition… Yep, it still here. A discount? Now we’re talking. Signature sneaker. Jumpman logo. All-around KILLER performance. Outstanding looks. For around 65-70 bucks? What’s up with that price cheese Jordan brand? That’s one hell of a steal, man. 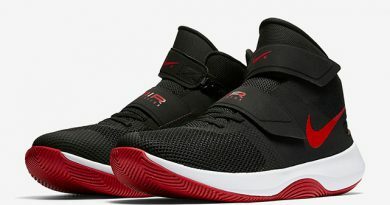 Hands down, the Jordan Why Not Zer0.1 is the best value for the money Jordan signature basketball sneaker in the market right now. And if you’re looking for a new pair of ball shoes, these must be on top of your shopping list. Remember the times when LeBrons were not for everyone? Yeah… Good old days… It’s all different now tho. The LeBron 15 being the very first pioneer that introduced the line into the modern “shoe game” – the 16 continues pushing the same direction with much-improved performance & freshened up silhouette – all in one well-balanced package. If you’re still sleeping on Chinese brands, I got a few words for you to say… You’re missing BIG TIME. Making its way on top of best performers list two consecutive years, the ANTA’s main mission with the release of the KT 4 was to not screw thing up, since the 4 was already a solid performer. Well, they did accomplish that and then some. Fixing all the minor problems the KT 3 had – they managed to rise Klay’s signature line into another level, to the point where you really can’t ignore it anymore. From the second-skin-like, yet supportive knitted upper to the foam cushioning that somehow is as crazy as the LeBron 16’s Zoom Air/Air Max combination & the traction that holds its own on any type of surface – the KT 4 is a real deal. So the Soldier line made a huge step forward from last year by putting out an all-around more superior follow-up model. Apart from the inner strap going undone couple of time, well, maybe more than a couple, I actually couldn’t find any major problems. These guys do feel & play like a completely polished product. Not surprised why LeBron been switching from his main signatures to the Soldier line when balling out in playoffs. I was one out of many that did have some love-hate relationship with the silhouette Jordan brand decided to go on the 33s. The thing is – you MUST go to your local sneaker store – hold them in-hand & slip your foot in for a quick store spin. As the Nightwing said in his performance review – they’re gonna take you on a freaking trip, man. They sure did just that. From eye-catching color blocking to the smallest details that do make the difference all the way up to the cutting-edge tech – the AJ 33 is a masterpiece. Same transfers to their on-court performance. Every single aspect did work nearly perfect for me, putting a smile on my face every single time I pulled that cord before taking the flight. Even though adidas has discontinued their easily the best team line-up for the last two years – the Crazy Explosive. The brand with the three stripes sort of redeemed themselves by introducing the follow-up silhouette to the game – the adidas Pro Bounce – as we all can see it didn’t let us down. You won’t find any of premium Primeknit from its predecessor. BOOST didn’t make the party as well. That brings us to the conclusion that adidas doesn’t do well as far as sales go right now. But, hey, that didn’t prevent them from releasing some well-performing models, including the Pro Bounce. The mesh upper might not be the most premium stuff, yet it still gets the job done. While the Bounce midsole is definitely as much fun, almost, as BOOST so you still are receiving some great amount of impact protection in the back, as well as rather low to the ground & responsive ride in the front. But the main two advantages having BOUNCE cushioning would be weight reduction and lower price, which is always nice to see. How about traction? Well, they made sure it’s as beastly as it used to be on the Crazy Explosive line. This option is for those players who do prefer having something quick/responsive/fast under their feet but still looking for that lock-down support & nice fit. Oh, wait… Traction is nuts whether you’re ballin’ indoors or outdoors. And who said that budget models can’t look clean? The Jordan Jumpman Hustle is definitely won’t break your on-court drip, at least in my case. 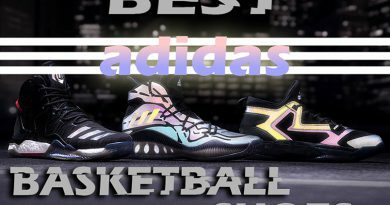 Hope you enjoyed my Ultimate list of BEST BASKETBALL SHOES IN 2018. Which one you’re picking? Let me know! Hey, i need some advice. 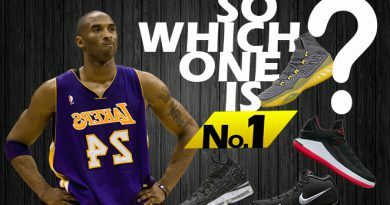 I am 14 almost 15 years old and I love shoes, I play at the 3 ( small forward ). I’m 6’1 160lbs my play style is a two way playmaker, I’m trying to find the perfect shoe for me. I have the Kyrie 5’s, Lebron 16’s and I just purchased and haven’t used the Why Not Zer0.2 but do you have and recommendations because the 5’s and 16’s wasn’t for me .